Sanderson Farms Whole Chickens, Grade A – .88/lb. HCF BBQ Seasoned Chicken Leg Quarters – $1.00/lb. Pilgrim’s Pride Boneless Skinless Chicken Breasts – $1.98/lb. Texas Style Beef Ribs – $2.49/lb. Boneless Beef Chuck Roast – $2.99/lb. Lean Ground Beef – $2.79/lb. HEB Fresh Sausage, 16 oz. (bratwurst, Italian, etc) $2.99/lb. BUY: 2 lbs. Extra Jumbo Raw Wild Gulf Shrimp, 16-20 ct. per lb. FREE: HEB Sour Cream, 8 oz. FREE: HEB Homestyle flour tortillas, 20 ct.
FREE: Wholly Guacamole Classic, 7 oz. FREE: HEB Fancy shredded cheese, 8 oz. BUY – HEB Chef Prepared Breast Quarters, 3-ct.
FREE: HCF Deli-style salad, 1 lb. FREE: King’s Hawaiin Rolls, 4 ct.
BUY – Jennie-O Turkey Store fresh ground turkey, 20 oz. FREE: R & F Pasta, 12 oz. FREE: Nestle Coffee-Mate Creamer, 10.2-22 oz. BUY – HEB “Ready, Fresh, Go!” Pico de Gallo, 12 oz. FREE: HEB Tortilla Chips, 10 oz. BUY – Oscar Mayer lunchmeat family pack, 24 oz. FREE: Kraft regular American singles, 12 oz. BUY – Write thick sliced bacon, 24 oz. BUY – Two (2) Tostitos Tortilla Chips, 9-15.62 oz. FREE: True North Crisps or clusters, 4-5 oz. FREE: Nestle Juicy Juice, 46 oz. FREE: HEB Chips Galore! Cookies, 12.5-16 oz. FREE: Wet Ones, 24 ct. tub or 40-ct. singles. BUY – Two (2) Fresh Express crisp lettuce blends, 6-12 oz. FREE: Idaho russet potatoes, 5 lbs. BUY – Wanchai Ferry Frozen Entrée, 24 oz. BUY – Wanchai Ferry Restaurant Favorites Chinese Dinner, 12.8-23.3 oz. FREE: Hamburger, Chicken or Tuna Helper Box Dinner, 4.3-8.4 oz. BUY – Three (3) Pepsi or Diet Pepsi, 12 pk. FREE: Diet Pepsi, 12 pk. BUY: Jimmy Dean Pancakes ‘n Sausage on a Stick, 12 ct.
FREE: State Fair corn dogs, 16 ct. This week Texas did not get all the great deals like other regions. You can go HERE to see more deals if you are in another area! Target Pop-Tarts and Clearance deals! 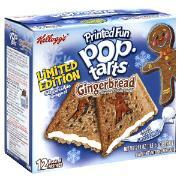 At Target this week, save $0.55 on one 12ct or Larger Package of Kellogg’s Pop-Tarts Gingerbread Toaster Pastries! You can print this coupon in IE or Firefox. Remember to press your browser back button to print a total of 2 coupons per computer. The 12 ct boxes of Pop-Tarts are priced around $2 at Target. Plus, Target has a store coupon available too! Final cost ONLY $0.95 per 12 ct box! 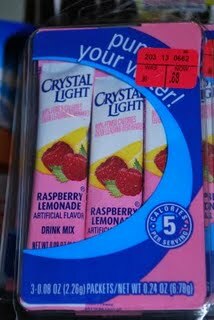 At It’s Hip to Save a reader emailed to say she found the Crystal Light individual packs by registers on clearance for just $0.68. She used the $2/2 coupon from the 9/13SS to get 2 for FREE + score $0.64 in overage! **As with all clearance, it may or may not be available at your local Target. FREE Sample of Simplistick’s sooo cute! This is so cute! We got the snail ones, not sure why, fits our personalities! What a fun little freebie! Go here and you’ll be able to request a FREE Sample of Simplistick. These are adorable wall stickers that you can use to decorate your walls! You’ll even get to choose from a Frog, Snail, Whale and others. FREE Night at the theater! Wow! This is really cool, there are Children’s theaters in my area that are doing show’s during the day, we are going! On October 15, 2009, theaters from coast to coast will be offering a completely free night of theater. Online ticket reservations begin tomorrow (October 1, 2009) and tickets are limited so you’ll want to sign up right away. Go here to see if theaters in your area are participating. Maybeline pulse perfect Mascara at Ulta almost free. Have you wanted to try the new Pulse Perfect Mascara from Maybeline? I have seen it and thought it looked interesting. This week it is on sale at Ulta for $12.99, Buy one get one FREE. Buy 2 and use the $5 off any $10 purchase Ulta store coupon (found in InStyle Magazine). Or the $3.50 of a $10 purchase form the Sunday paper. If you don’t have that, then you can use the 20% off any one item coupon from here (this will deduct $2.60 from your total). 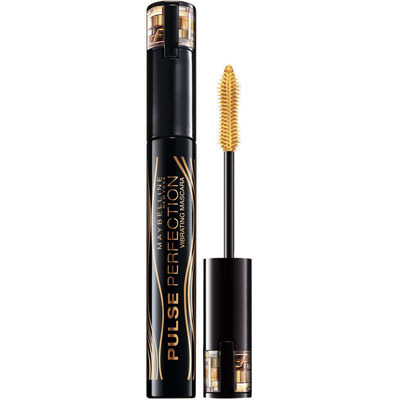 Plus, use 2 $3/1 Pulse Perfection Mascara manufacturer coupons from here or here: IE or Firefox. Final cost ONLY $1 per mascara with the $5 coupon or $2.20 per mascara with the 20% off coupon! Or $3.49 with the Sunday paper coupon! Thanks for the email Anna! Catalina didn’t print? This is what you do. There is nothing more frustrating than doing a deal and your Catalina does not print. When this happens you have a few things that you can do. When a Catalina does not print, ask the cashier… or head over to Customer Service. Get a Manager if you need to. Don’t be shy about it… Catalina’s can be really high value after all! ~ I always double check with an add if possible that I was supposed to get one. If they don’t know or are less than helpful make a choice to either return the order completely (get your coupons back) or you can contact Catalina directly. They can look up the transaction by receipt and clubcard number. I have found the folks at Catalina to be really helpful, last time I had a problem the store was offline and they mailed me my Catalinas. Thank you Louise for the Catalina info! ~ What is a Catalina? Catalina Category Marketing (CCM) rewards purchases of promoted products with “catalinas”, also known as “check-out coupons”. These offer incentives good on your next shopping trip to that retailer. There is usually a 4-week window on any given program/incentive promotion. ~ Are catalinas manufacturer’s coupons or store coupons? Generally, they are manufacturer’s coupons, although occasionally one will state that it is a Store Coupon. The manufacturer’s coupon catalinas are not able to be combined with other manufacturer’s coupons. In other words, if you have a catalina for $1.00/2 product X and also an insert coupon for $1.00/2, you would need to purchase 4 of the product in order to use both coupons. Randalls/Safeway is running a nice Catalina deal right now through Saturday, Oct 3. Buy 3 boxes of Kleenex, Get a Catalina for $3 off your next order. If you can hit up your store tomorrow (9/30) you can use the $.50/3 coupon in the SS 8/2. You will have to go tomorrow because the coupon expires 9/30. Plus, this should double at most stores. If you don’t have that coupon, look for $.55/3 blinkies. These were in the Kleenex aisle at my Randalls tonight. You will have to pay out of pocket on the first transaction but on your next transaction, you can roll the Catalina. Just make sure you have something to offset the $.03 overage. Last chance for this weeks giveaway! Today is the last day to toss you name in for the Couponizer a very nice coupon organizer! Click HERE to enter. Check back tomorrow for a very interesting and pricey giveaway. It is something neat! You are currently browsing the Mylitter's Blog blog archives for September, 2009.